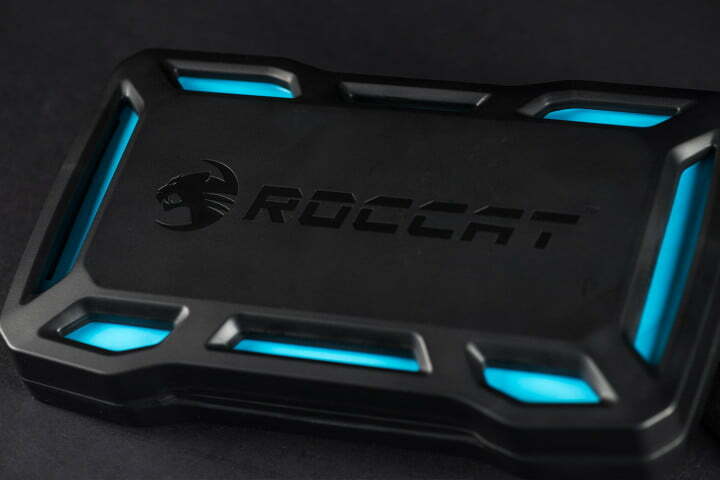 The Roccat Nyth’s daring design morphs it into the perfect mouse for absolutely anyone. 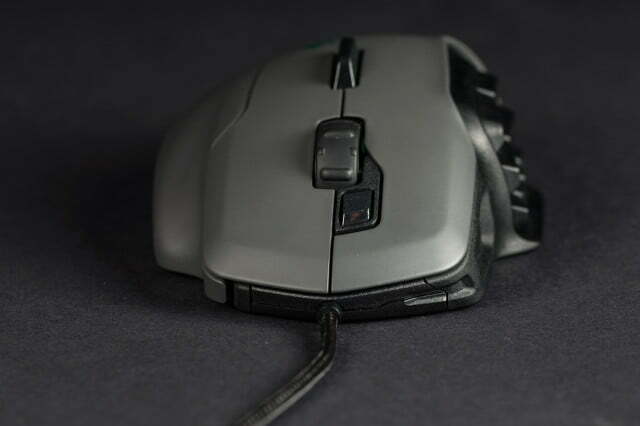 With vast new genres introduced into gaming on what seems like a monthly basis, mice manufacturers have given up trying to build a gaming mouse that’s one size fits all. Instead, each mouse aims for a different player base. 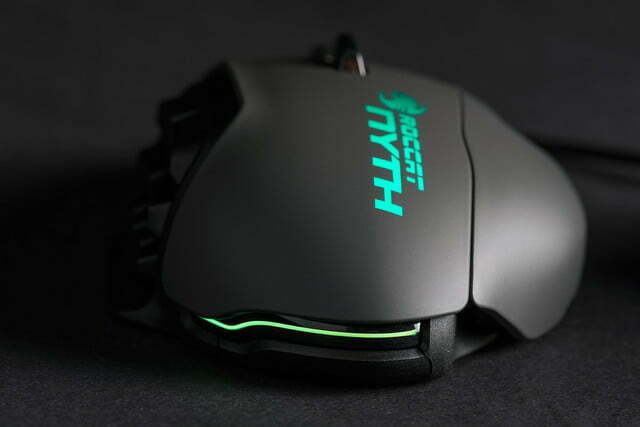 Every except for one – the Roccat Nyth. 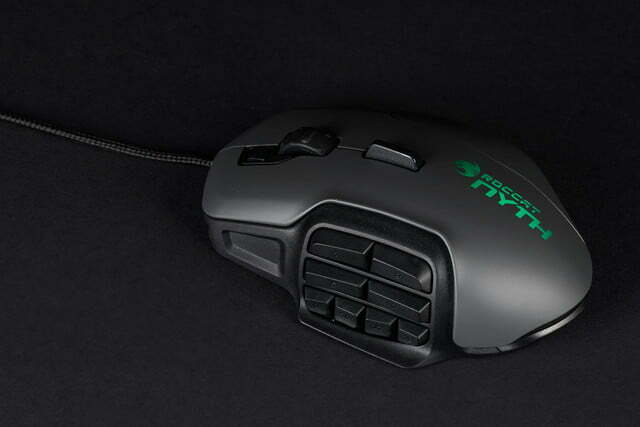 The Nyth is an attempt to create a mouse suited for any game by making the buttons and size customizable. The left panel supports as many as 12, and as few as zero, buttons, and the right side has two different size options for maximum comfort. While some competing mice feature shape-shifting panels, the customizable buttons, which can even be replaced with your own 3D-printed pieces, are a unique feature. Unfortunately, versatility comes at a price, and that price is $120. That’s enough scratch to buy a pair of high-end mice from another company, but the Nyth promises to be every mouse you need. We’ll see just how true that is. Draped in classic matte black and grey, the Nyth isn’t a distinct departure from other gaming mice in the category. Instead, the Nyth sets itself apart with a design that’s much more sculpted and dynamic than competing mice. The grey paneling sits just off the chassis of the mouse at the edges, in a way that’s both comfortable and satisfying. Those edges are rounded perfectly and don’t bend at all, not a single panel on the Nyth has any give to it. Not only does the Nyth look great, but it feels great, too. Every individual piece feels sturdy and well-constructed, without gaps, panel flex, or rough edges. The swappable right face and short, rotund shape actually makes the Nyth quite comfortable for any grip style. Two faces are included, a narrow option, and a wide side panel with an extra skid on the bottom. Changing them actually makes the mouse look quite different, but both snap on snugly and don’t move during gameplay. To be honest, I think multi-color lighting is a bit of a gimmick. True, it’s a nice bonus to be able to ensure every light on every peripheral is the same color, or even flash through multiple colors, but it’s just not necessary. The Roccat Nyth seems to have a similar perspective on the matter. The Nyth feels as good as it looks. There are two lights, one under the logo on the back, and the other in a thin band down below. Neither is bright, and the color-changing aspect, while it offers a lot of different color options, doesn’t transition smoothly. Without using a breathing or glowing effect, it clicks from one color to the next. I ended up setting the colors to green and gold and leaving them, which is fine by me. The Roccat Nyth has no shortage of buttons. Apart from the panel around the left side, which we’ll revisit shortly, there are a few notable changes from the standard gaming mouse design. First, instead of the scroll wheel tilting left and right, there’s a fin about a half inch behind it that clicks to either side. It looks a little awkward at first, but actually sits right between the index and middles fingers, and is easy to bump with the inside of either knuckle. The other notable addition is the easy-shift button, a small toggle located just in front, and to the left, of the scroll wheel. It’s out of the way of the main click action, but can easily be reached without too much hand movement. Holding it down is akin to holding shift on a keyboard, with customizable key assignments for every button when it’s held down. 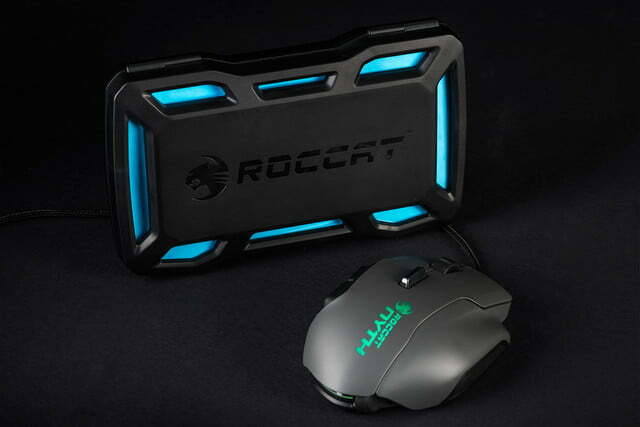 Roccat has struck a balance between heavy and light button feel in a way that supports its versatility. Its solid action and response is perfect for shooters and RTS games, but the pressure required is light enough not to tire out knuckles during a long match of Dota 2. The scroll wheel is a little on the stiff side, in a way that’s going to satisfy shooter fans, who need distinct knocks in the spin of the wheel to select weapons, more than MMO or RTS players, who zoom in and out with it. Despite its thick, rubbery nature, the wheel’s click action is nice and light, and works well from any angle. By far the coolest feature of the Nyth is its true button customization. 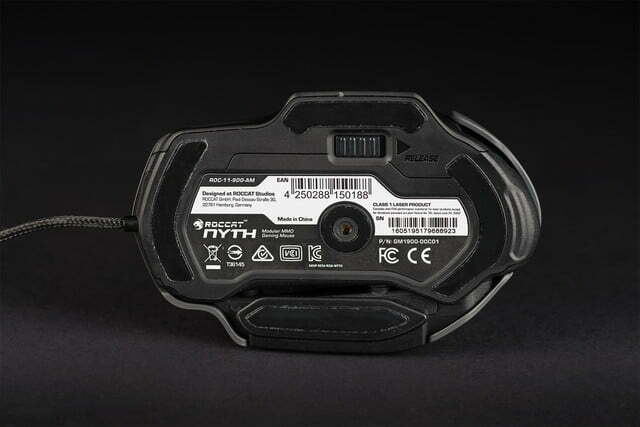 Other mice might offer reprogrammable buttons or mouse wheels with different modes, but the Nyth is the only mouse I know of that actually supports switching out buttons, and even 3D printing your own. It works through a surprisingly simple mechanism on the left side of the mouse. 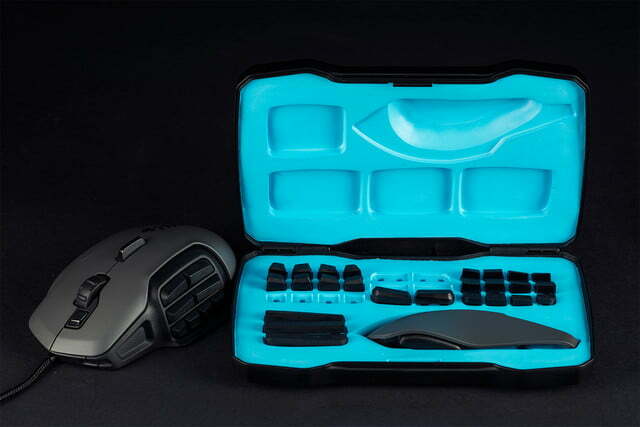 Three rows with four slots each adorn the spot under the thumb, and an artillery case full of alternative buttons is included with the mouse. The options are fairly simple, with up to 12 individual buttons, plus two-slot-wide buttons. Every button is numbered and designed to fit only in a specific spot on the mouse, but there’s still a lot of customization to be had. Customizable design makes installing different buttons a cinch. Installing buttons is literally a snap — just line up the peg and push the button in till it clicks. In order for the button to work properly, it needs to have a value assigned to it in the Roccat Swarm software, but mechanically speaking, it’s quite easy. Removing them is a bit trickier. 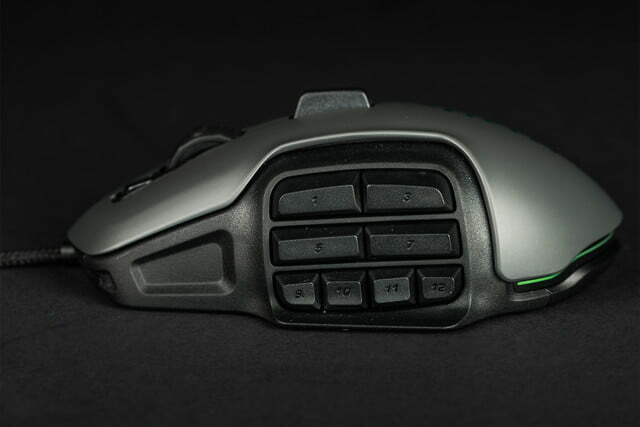 There’s a spring-loaded slider on the bottom of the mouse that simply releases all of the buttons when held. Buttons can be removed individually by holding all the other buttons in place, but usually it’s easier to just dump all of them and quickly reassemble them in a new configuration. The Nyth performs admirably in games, and the star of the show is the button panel on the left side. Assuming the buttons are fully seated, they click with a satisfying tactile response and short throw. The ability to use or lose as many buttons as needed is incredibly helpful in every genre of game. The fact that there are up 12 buttons on the side, plus seven more assignable commands on the rest of the mouse, means there’s plenty of extra room for multimedia controls and macro assignments, if you want them. Add in the shift key, and the opportunities for complex key combinations and preset routines expands greatly, enabling a total of up to 38 assignable buttons on a single profile. 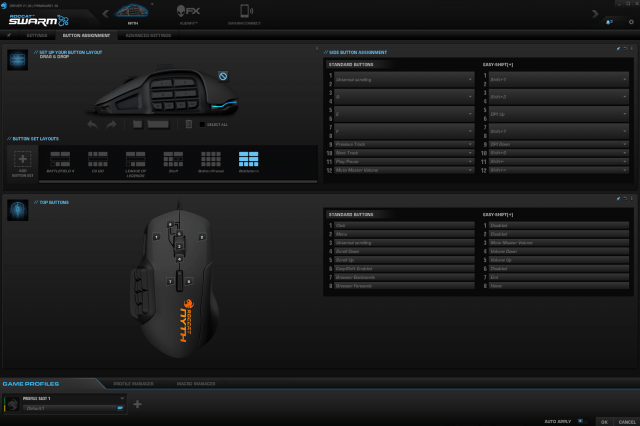 Unfortunately, Roccat’s Swarm software isn’t the smoothest. The customization options are solid, the interface is clean, and cloud backup is a blessing for the complex button layouts of the Nyth. But a number of mysterious bugs hold back the experience. Sometimes, when switching games, the programmed layout changes don’t register. It’s worth testing before actually launching the program, as I’ve run into times when I changed the layout, clicked apply, and found the keys were still on the old setup after diving into the next game. There were also typos in some of the section headers, which makes the suite feel rather amateur. 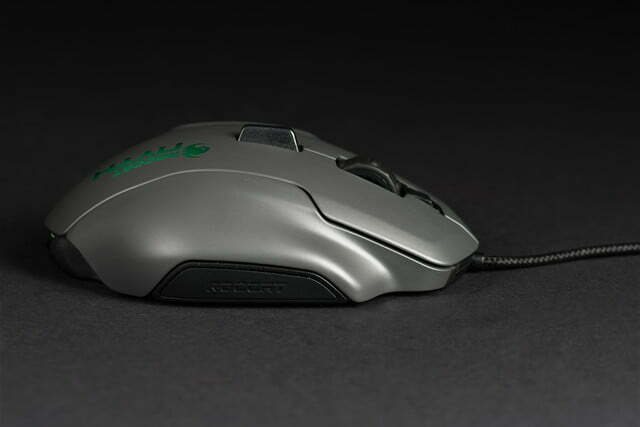 Still, it offers a wealth of customization options, with a DPI range of 200-12,000, pointer speed acceleration, and button profiles with game awareness. 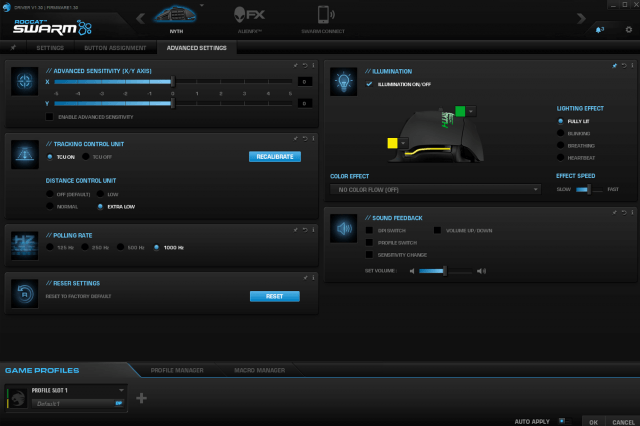 There are even more options under the advanced settings, with X/Y sensitivity, polling rate settings, and illumination. The software also includes sensor controls. One option enables surface compensation, which can adjust sensor sensitivity to the texture and color of the surface the Nyth is used on. I didn’t notice much of a difference with it on or off. A separate distance control setting assists with lift-off, and it’s absolutely necessary to turn it up. 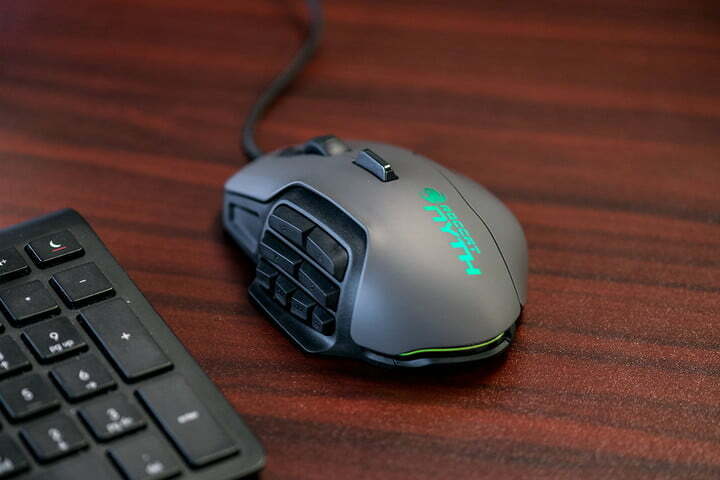 Without software compensation, the sensitivity of the Nyth can be problematic, as the sensor still records movement even when the mouse is lifted a half-inch from a surface. Some people go without, but it’s hard to imagine serious PC gaming without a solid surface for the mouse. Built with best-in-class Cherry MX Red switches, the Strafe is a solid keyboard at a great price. It might just be 1080p, but the price on this Asus gaming monitor is tough to beat. A quick SSD can improve the performance of a gaming computer by leaps and bounds with very little effort. There’s one problem yet to be discussed with the Nyth, and that’s the price. 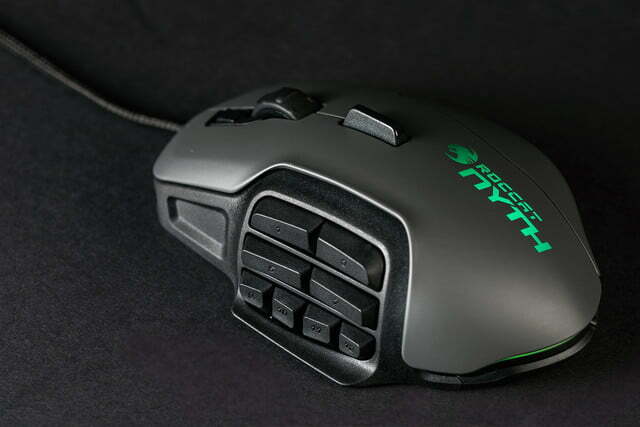 At $120, the Nyth is twice as expensive as competing mice like the Razer Naga. But I think that’s OK. Why? 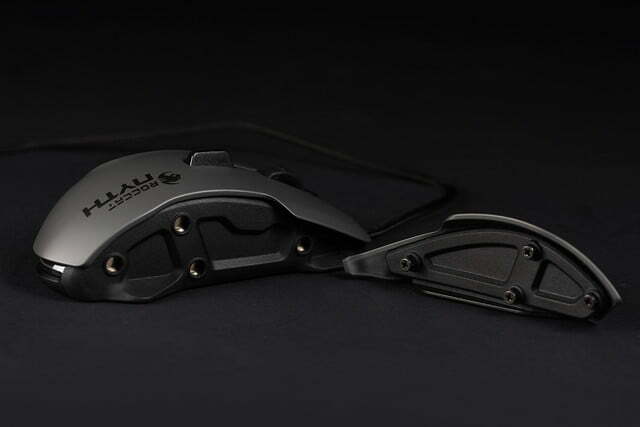 Because it dares to be more than any other gaming mouse. It’s the only product offering a physically customizable button set, and also takes risks, like the horizontal fin, that pay off in ways that other mice can only dream of. 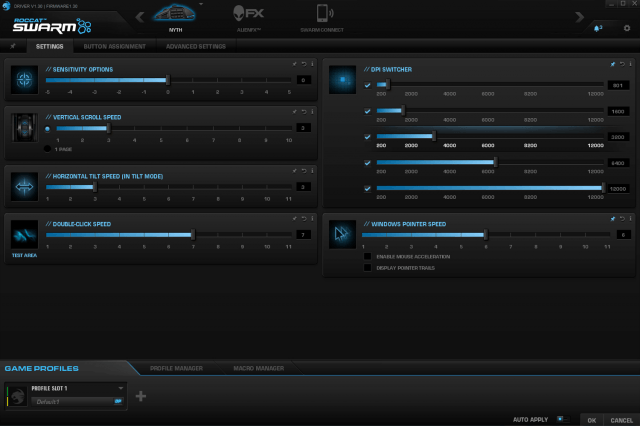 The only snag is Roccat’s Swarm app, which is a little rough around the edges. Normally that wouldn’t be as much of an issue, but configuring the Nyth to your liking requires a bit more time in the software than other mice would. Apart from the software snags, which fade into the background once configured, gamers will find little to complain about with the Nyth, and a lot to love.